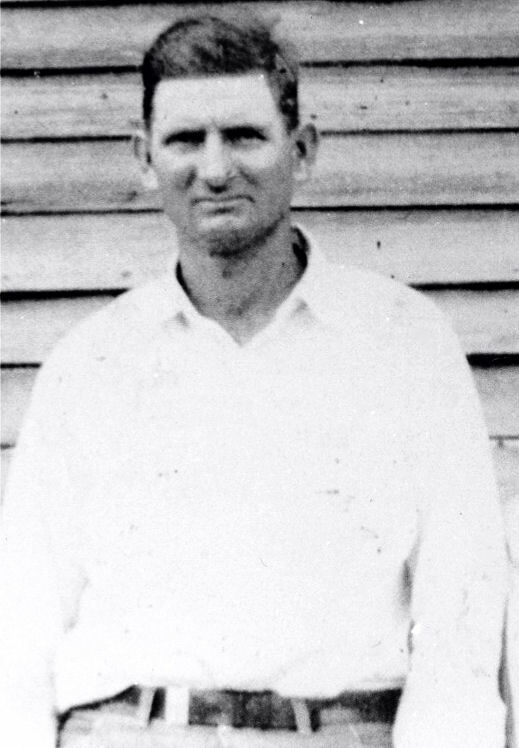 Edgar “Sonny” Bembry, born 14 June 1906, was the oldest of Hiram and Palma Lashley Bembry’s seven sons. As such, he was unable to attend school past the third grade because he was needed on the farm. While he stated on the 1930 census that he could read and write, he was never fully literate. He was, however, a very hard-working and determined man. 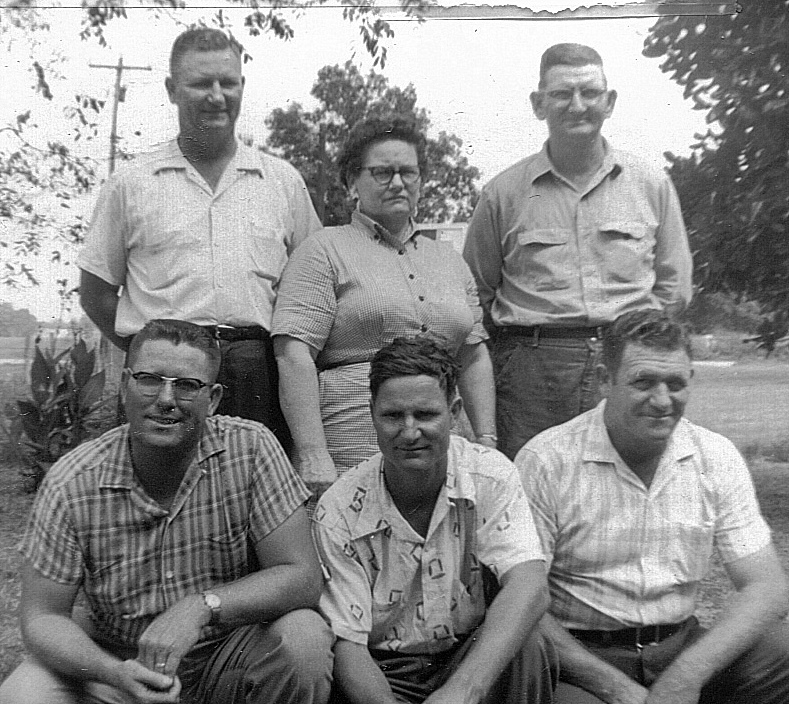 Edgar Bembry (top right) and five of his six siblings. Edgar lived with his parents until he was 24 years old, at which point he married Jewell Smith. They initially farmed a share, but later acquired their own good-sized farm just south of Hiram Bembry’s land off of SW 49th Trail. A portion of their land later became part of U.S. Interstate 75. Edgar and Jewell had five children together: Iris, Elwyn, Evelyn, Lonnie, and David. A family story is that when one of them was born while he was tenant farming, a neighbor made a comment that she would not be having any children unless she could afford to educate them. That made Edgar mad–he decided right then and there that all his kids would be educated. And so, they were. All five children (and all his grandchildren) graduated from college, some with post-graduate degrees. His great-granddaughter will be studying for a doctorate soon. Edgar Bembry died of a heart attack on 6 August 1970 at his farm. He is buried at the Evergreen Cemetery in Jasper. 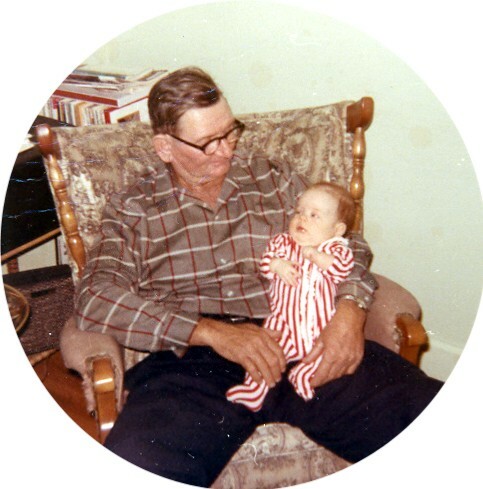 I was barely four years old when my grandfather died, so I don’t remember him at all. But I was the first grandchild, and he was apparently rather impressed with me.